If you are a vintage car enthusiast or vintage car rally fan, then mark Sunday 19th to Friday 24th October on your calendar. It’s the date of the 2014 National Veteran Rally and this year it is traveling to Kalgoorlie Boulder in West Australia. With more than 100 vintage cars manufactured before 1919 expected to attend, this is the biggest car rally that these Goldfields in Western Australia have ever seen. 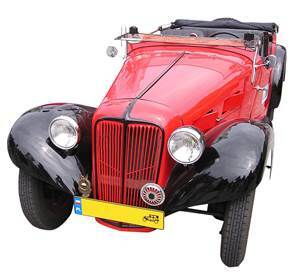 The rally is expected to draw international attention from the world’s vintage car enthusiasts and media, especially due to the area’s unique characteristics which the rally has not seen before. The Kalgoorlie-Boulder area is going to provide rally participants with an Australian outback experience, the chance to explore old ghost towns from the goldrush area and a bustling mining town, all with roads suitable for vintage vehicles. Visitors and participants who arrive early, will also be able to experience the 1914-2014 Centenary of Speed Celebrations held at the nearby Lake Perkolili motor circuit on the 16th to 19th of October. We love vintage cars, trucks & motorbikes but use modern tankers and trucks for all our road freight services. For any inquiries please call (08) 9410 1726 or use our contact form. Possible Major Water Reservoir Deep In The Earth How To Help Australian Farmers In The Drought Perth To Get More London Taxis On Our Roads Are Self-Driving Cars the Future?